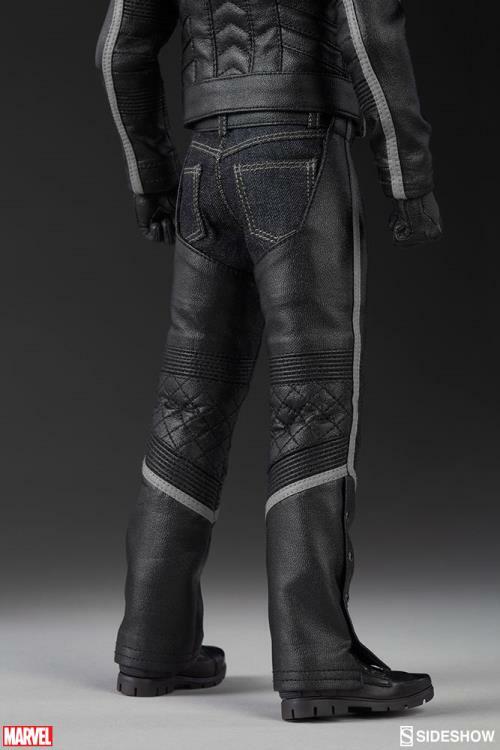 Barton Blaze’s boy. Carnival rider, Stuntman, and Daredevil. 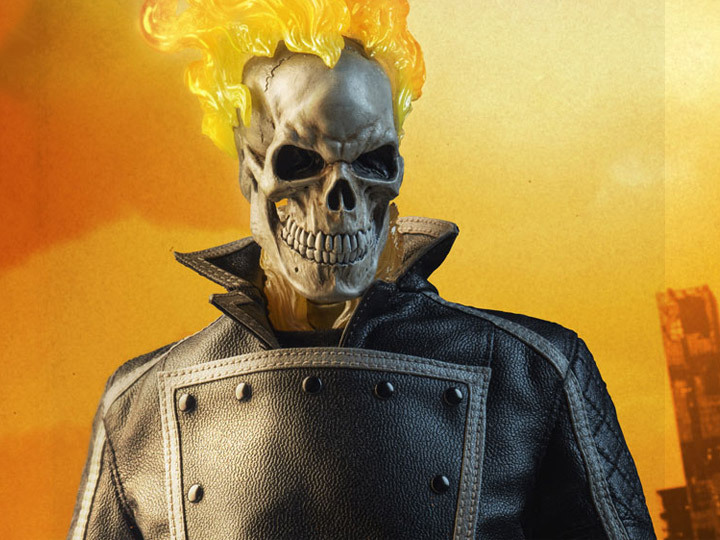 Johnny Blaze spent his life taking risks, wrecking bikes and entertaining the crowd. 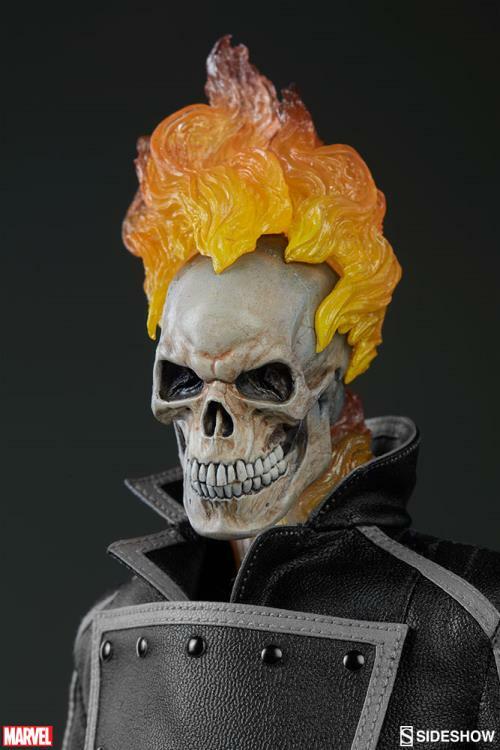 But family turmoil and grief for a dying loved one can make you do crazy things, and an encounter with a demon and a foolish pact for his very soul turned Blaze into something new and terrifying–the Ghost Rider! 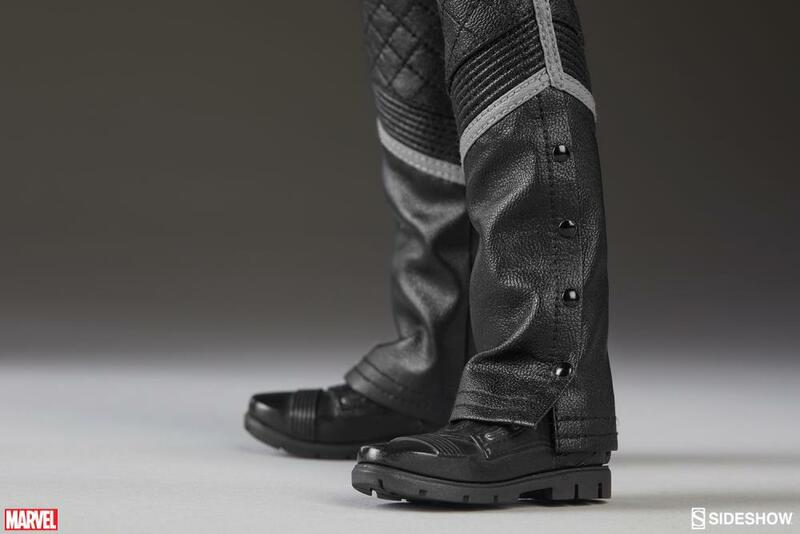 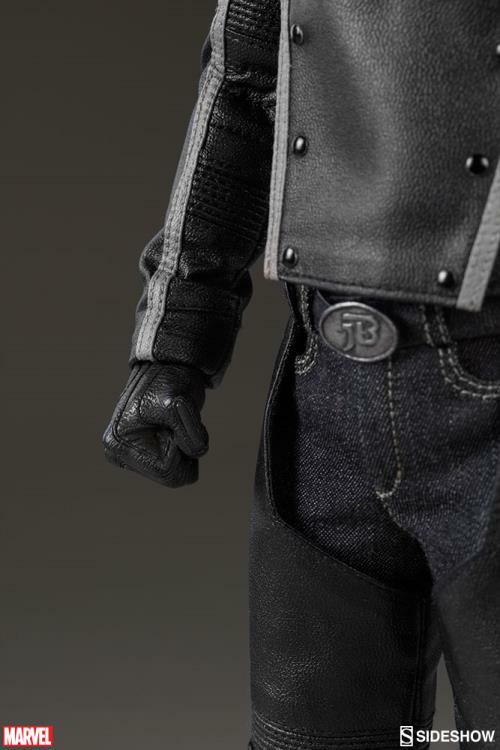 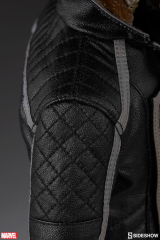 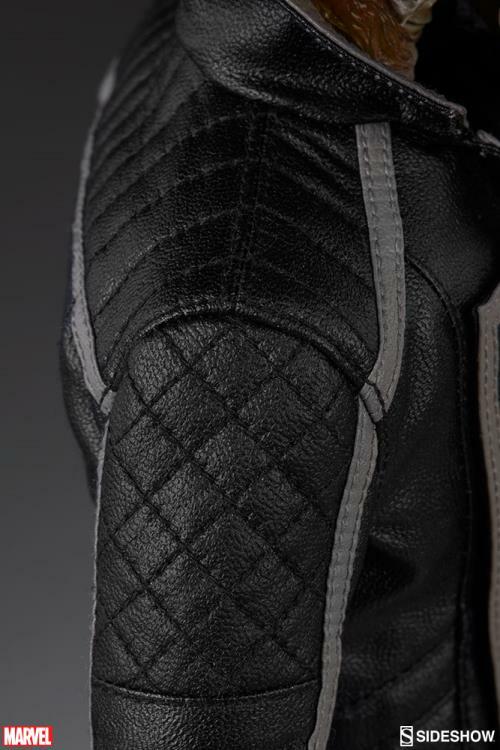 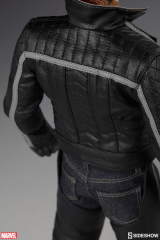 Even his sculpted biker boots and signature “JB” belt buckle have been hand-painted and weathered for the ultimate realism. His grinning skull is enshrouded in eerie semi-translucent flames that creep up from below his collar and wrap around his neck. 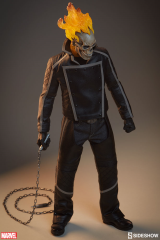 This highly articulated 12-inch sixth scale figure comes with three (3) pairs of hands (fists, expressive hands, chain holding hands) providing numerous posing options for display. 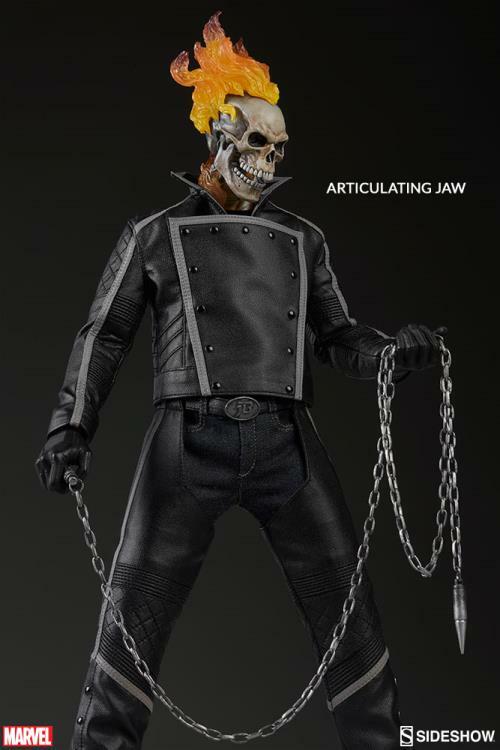 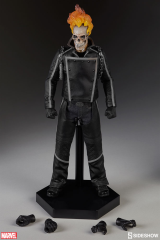 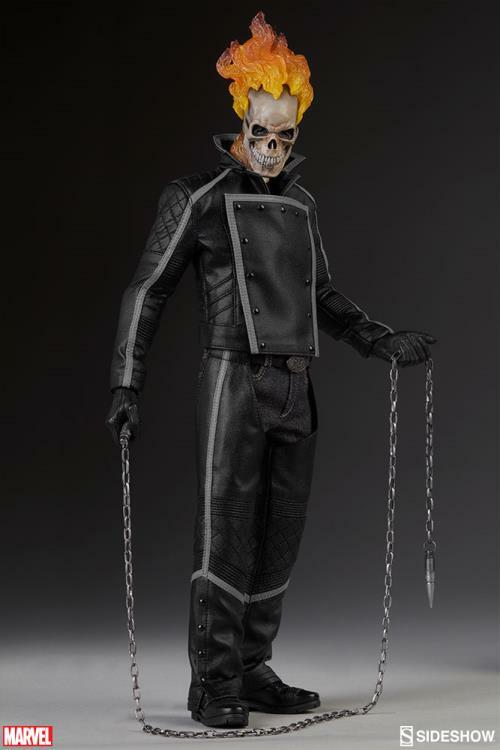 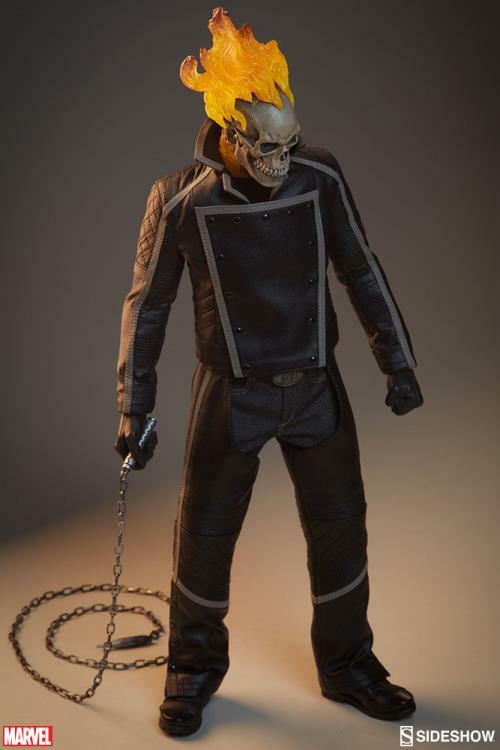 Ghost Rider is also sold complete with a steel dart-tipped chain for ensnaring evil-doers and dispensing his own hellish brand of justice.